Almonds, cashew nuts, coconut, hazelnuts, peanuts, pine nuts, poppy seeds, brazil nuts, chestnuts, flax seeds (linseeds), macadamia, pecans, pistachio, pumpkin seeds, quinoa, sunflowers seeds, walnuts, sesame seeds etc. – all of these are grouped into a single family called Nuts. 1. Nuts are rich in energy and nutrients. The monounsaturated fatty acids in nuts help lower bad cholesterol and increase good cholesterol. 2. They help in preventing coronary artery diseases, and strokes. 3. They are rich in omega-3 essential fatty acids with anti-inflammatory properties. They help in controlling high BP, fight against breast, colon and prostate cancers. 4. They also benefit in rheumatoid arthritis, Alzheimer’s disease, depression. 5. Poly-phenolic flavonoids in nuts protect from cancers, heart diseases, degenerative nerve diseases, Alzheimer’s disease. 6. They are a rich source of potassium, manganese, calcium, iron, magnesium, zinc, fluoride, selenium. Manganese is a powerful free radical scavenger. Potassium controls heart rate, blood pressure. Copper helps in producing red blood cells. Fluoride prevents dental problems. 7. They contain vitamin E which help in maintaining cell and mucous membranes of the skin and protects from free radicals. 8. They contain B complex which is very essential for health. 9. But you may ask if they are good for heart’s health as they have a high presence of fat content? Help in proper regulation of blood cholesterol. Reduce bad cholesterol and increases good cholesterol. 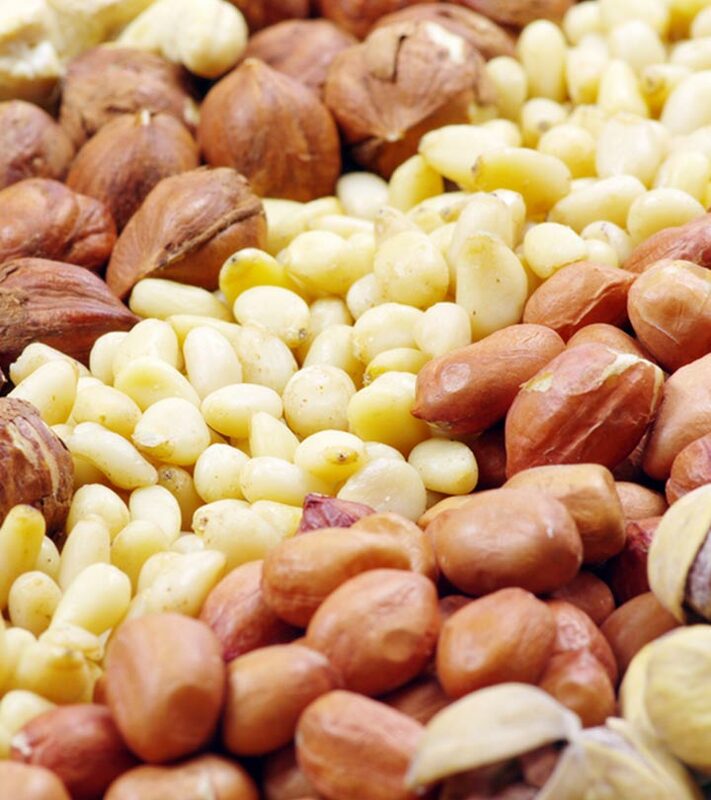 Arginine in nuts prevents from hardening of arteries by increasing its elasticity. Anti-oxidants, vitamins and minerals help fighting against inflammation. Maintains healthy blood pressure due to the presence of low sodium and high potassium content. Nuts contain high fat content. So if you are already a little fat, do you need to avoid nuts? The answer is no because nuts keep you away from obesity. They release satiety hormones in the gut helping you to control appetite. You need to substitute them with low nutritious food in your diet. Replace the processed meat, cereal foods like bread, sugary snacks etc. with these handful of nuts. How many should I consume daily? You should ideally consume 30 grams of nutes. Well, it is not possible to weigh all the nuts each time at home. So here is a rough list to give you some idea on how many nuts to take per day, i.e., for 30-50 grams. 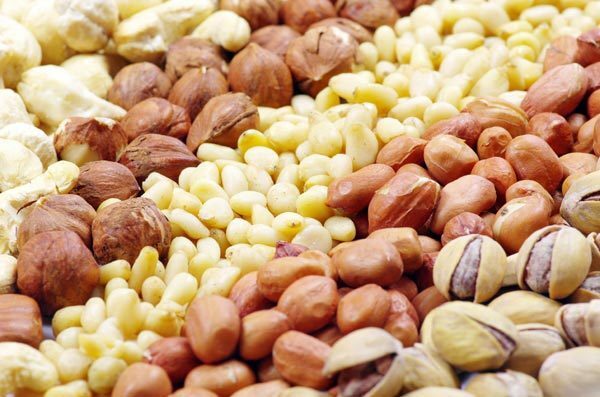 20 almonds/15 cashews/ 20 hazelnuts/ 15 macadamias/ 2tbsp pine nuts/ 60 pistachios in shells/ 10 whole walnuts/ 20 half walnuts per day can do the work for you. If you bought mixed nuts, then simply take a small handful of the mixture. So which is your favourite Nut? 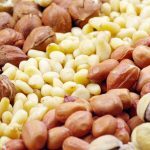 I hope this article on ‘benefits of eating nuts’ helps you attain good health.